At Alexandria Volkswagen, our showroom near Arlington is full of models with unique names, but what do they mean? “Volkswagen” translates to the “the people’s car” in German, and drives home the dependability of the brand. However, many of the Volkswagen models were bestowed with interesting and meaningful names of their own. Golf Hatchback: The Golf is named after the Gulf Stream — a powerful current in the Atlantic Ocean. Jetta Sedan: “Jetta” translates to “jet stream,” which alludes to its sporty performance and athletic build. Atlas SUV: The Volkswagen Atlas is named after the Greek Titan Atlas. He held up the celestial heavens and was skilled in mathematics and astronomy. Beetle Coupe & Convertible: The soon-to-be-retired VW Beetle earned its name from its bug-like shape. Fun fact: The VW Beetle was originally called the Volkswagen Type 1. Eos Convertible: Also recently retired, the Eos convertible offers beautiful views of the unforgettable sights around Washington DC. It was named after the Titaness and Greek goddess of the dawn. Touareg SUV: The Tuareg people of the Saharan desert inspired the name of this SUV. Its style and spaciousness encourage Springfield drivers to see new sights and experience new adventures. Test Drive a New Volkswagen at Alexandria Volkswagen! 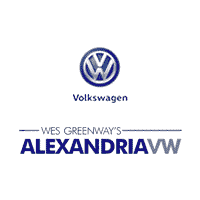 At Alexandria Volkswagen, we have an impressive selection of new and used Volkswagen models for sale. Contact us to schedule a test drive in Alexandria, so you can learn more about Volkswagen history and experience the latest from the brand. Don’t forget to ask about our new vehicle specials!